Westminster Conservatives have slashed the Council budget for rough sleeping and supported housing just weeks after the Council’s own figures showed the number of those out on the streets had more than doubled. At last week’s full Council Westminster Conservatives passed the annual budget including cuts of over £800,000 to the rough sleeping budget. The cuts were opposed by Labour Councillors who were sceptical of Conservative claims the cuts could be delivered through ‘efficiencies’ without effecting front line services. 30 bed spaces have already been lost in 2015 with the closure of the Bayswater hostel. Westminster counts data (the number of individuals counted on one night within a month) shows that rough sleeping has increased by 136% (when March 2012 counts are compared to November 2015 counts – the latest data used by Westminster in framing its Rough Sleeper strategy). 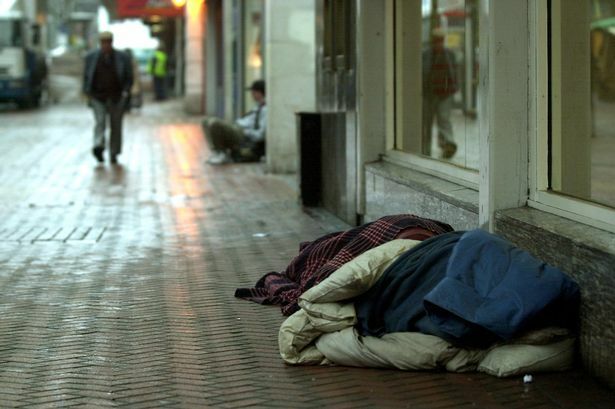 The Greater London rough sleeping numbers have increased by 33% when the 2011/2012 figures are compared to 2014/2015. This entry was posted in Council Budget, Council cuts, Labour Councillors, Rough Sleepers, Westminster City Council, Westminster Conservatives, Westminster Council waste and tagged Council Cuts, Council finances, labour councillors, poverty, westminster city council. Bookmark the permalink. Reblogged this on Cllr Tim Roca. Is it only about figures with the Conservative Councillors? Don’t people matter?